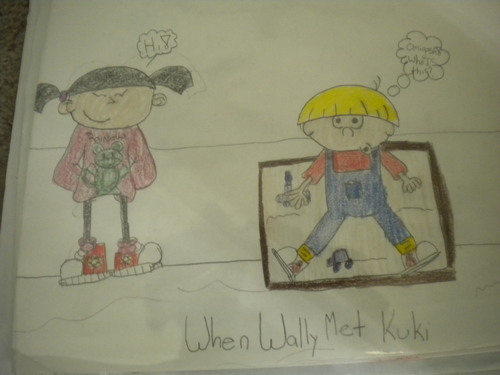 When Wally Met Kuki. This is sorta how I pictured their meeting.. HD Wallpaper and background images in the Codename: Kids inayofuata Door club tagged: kids next door characters cartoons sector v codename kids next door. Wally: OMIGOSH! Who IS this? AWWWWW!!!! THEY'RE ALL ADORABLE AND STUFF!!! !